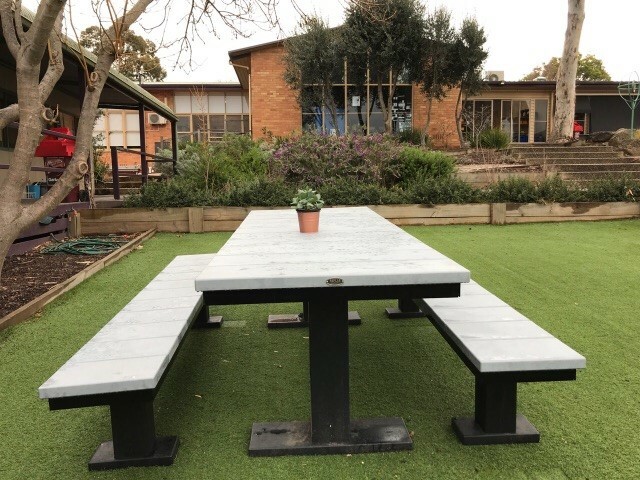 Some years ago, Kardinia International College needed to refurbish their playground area with some furniture. With a bit more research and a set budget, Replas became the perfect fit for their sustainable message. 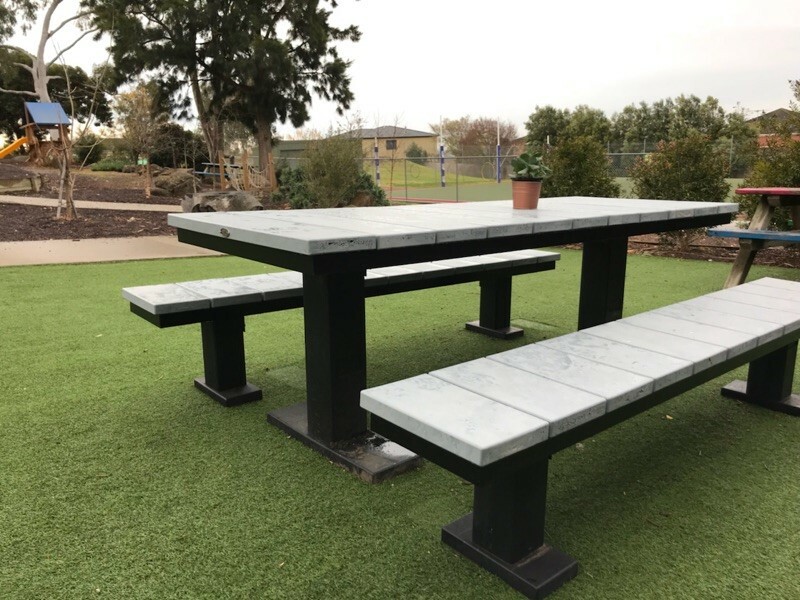 “Replas provided a sustainable solution without sacrificing aesthetics and the look we required for our school,” explained Kardinia teacher Leesa. 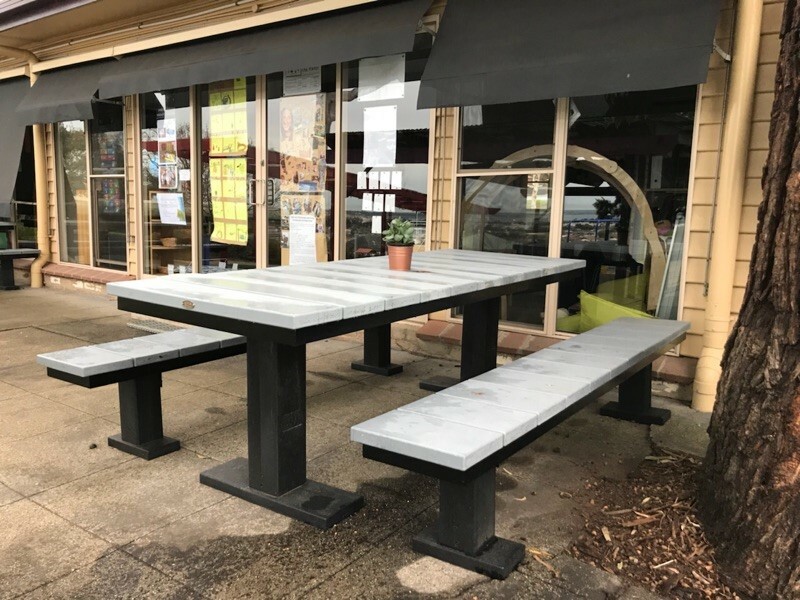 “Kids use chalk on it and then wash it down after a session, and the teachers host classes outdoors now due to the amount of kids that can fit on each setting,” continued Leesa. 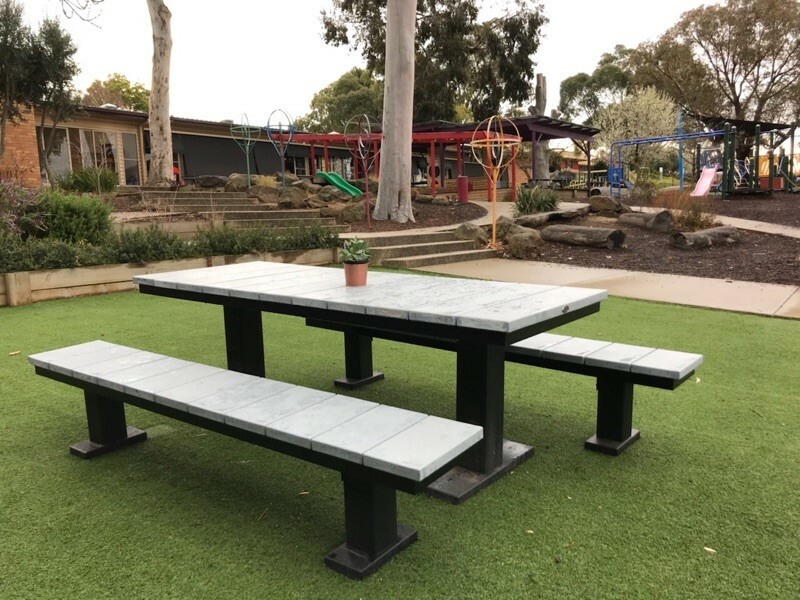 The Flinders Setting from Replas features a unique and modern slat design, while being very secure and available in multiple colours. “The interest in recycling and recycled products has never been so topical and we are stoked that we can be actively involved in the products being purchased to Close the Loop on recycling soft plastics. We are planning another refurbishment at the school and will look to include as much recycled plastic product as possible,” concluded Leesa. 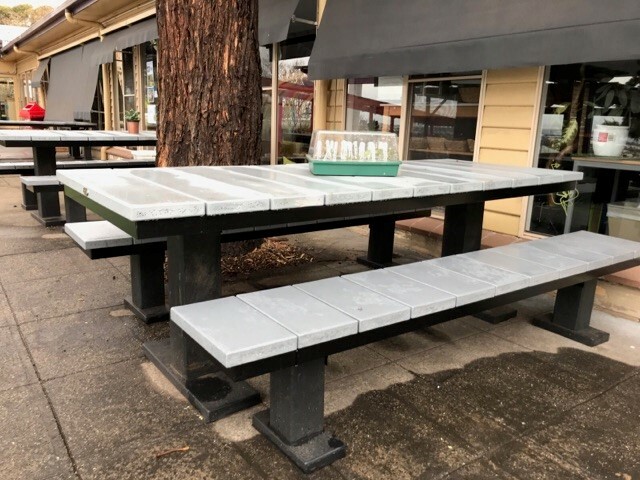 Thanks to the continuous work between schools like Kardinia International College and Replas, a Circular Economy is created.